Before 2013, Indonesia’s animal health surveillance system was fragmented, paper based and only delivered a handful of disease notifications each month. There was a poor connection with real, field-level needs, central Information needs and activities in disease prevention and management. Data wasn’t collected or used efficiently, meaningfully or in usable formats. The opportunities for making improvements were great and the desire to do better was also strong. 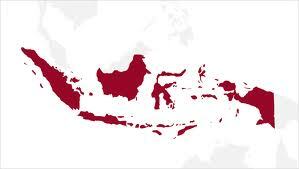 Indonesia consists 34 provinces each with its own legislature and elected governor. The provinces are further divided into kabupaten (regencies) and kota (cities) which also have their own legislature and governors and are largely autonomous, providing most government services. The task of building a new national animal health surveillance system and a powerful integrated data management system to support animal health could have daunted a less experienced team. Traditional animal health information systems suffer from poor data quality and low submission rates, and many have or will fail because they are designed only to meet central-level concerns. They often fail because they are almost entirely reliant on ongoing donor support for the infrastructure and often dependent on data providers receiving direct incentives (normally cash) to guarantee their ongoing participation. As soon as the money stops, the data stops. The challenge was to develop a system that would deliver enough intrinsic benefit to all users in order to ensure it became self-sustaining. In collaboration, the GOI, Ausvet and the Australian Government set about supporting the progression towards change. The first steps were to understand what the reasons were for the poorly functioning system and then to establish a collaborative, responsive project design. Wide, free access to timely, reliable information allows people to make better decisions, using sound evidence, in order to bring about positive change and improve lives. iSIKHNAS, the system which developed from this unique partnership, was built on an approach which sees everyone as a decision-maker with the right to relevant, timely data – from small-holder farmers, through to their local field service providers (both private and public), up to department heads and government ministers. Everyone needs good information in order to make good decisions. Innovative field data capture and communication tools as well as sophisticated data management solutions have been adopted to meet the data needs of these broad stakeholder groups. Now iSIKHNAS delivers all its users meaningful, targeted electronic and real time information on all areas of animal health and production. In doing so, it ensures the provision of vastly improved field-level services and strong oversight of priority disease investigations, animal movement control, syndromic monitoring as well as large-scale vaccination, production and other programs. What started out as a pilot in four districts in 2014 has since been adopted by the Government of Indonesia as its national animal health and production information system and successfully rolled-out across 95% of all 514 districts. A startling result with profound, far reaching, empowering effects. 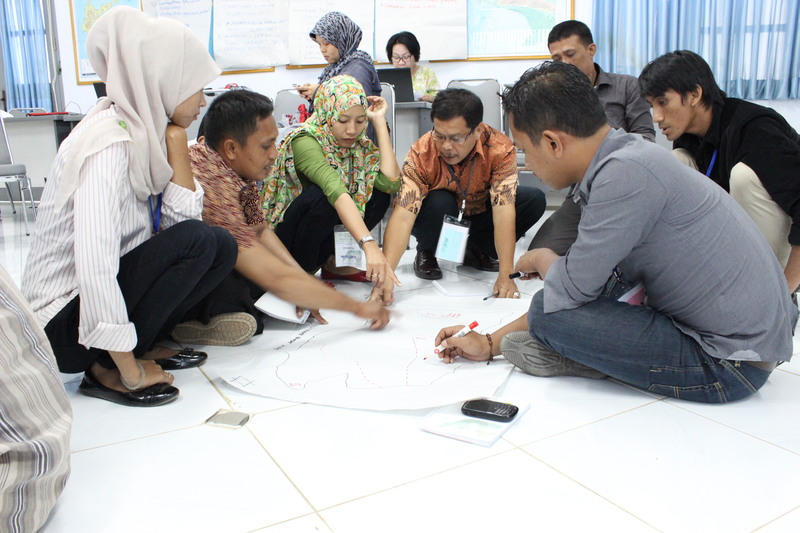 iSIKHNAS began as a small pilot activity in four rural districts in Indonesia in 2013 but grew quickly in scale and complexity to become the country’s national animal health and production information system. It is now in operation in over 95% of districts in the country. The system was developed in close partnership between the governments of Indonesia and Australia over a period of four years through the Indonesia Australia Partnership Emerging Infectious Diseases programme (AIP-EID). The system is wholly owned and managed by the Indonesian Ministry of Agriculture and has grown to be one of the most powerful and comprehensive electronic field animal health information collection systems in the world. By mid-2017, the system involved over 12 500 registered field staff, approximately 1.5 million registered producers and over 2.25 individually identified and registered animals. By mid-2018, over 3.98 million farmers and 4.85 million cattle are registered and involved. in order to help farmers and secure a healthier future for Indonesia. It was founded on strong principles which place the people living and working in rural communities, farmers and field staff, at the heart of the system while still providing tailor made data analysis solutions for all its users and stakeholders at every different level. These principles are crucial features of its success and values which underpin every aspect of its approach to all its stakeholders. The system holds that everyone involved in animal production has a need for information to support good decision-making and that this data feedback and analysis should be immediate, tailored and responsive to changing needs. Data reporters, in particular, should benefit from tangible rewards – readily available information and analysis, eased workload, improved service and communication, and ongoing, responsive support from the system. Rural communities throughout Indonesia now have faster and better targeted veterinary assistance and the limited resources available are used more judiciously and efficiently. never grouped, manipulated or generalised (aggregated). The system ensures that data need only ever be entered once, by the person reporting, at the time of the event, and is automatically checked by the system so that all data is correct at entry. Data can be submitted in a variety of ways (SMS, IM, spreadsheet, custom App etc) and it becomes immediately available in accessible, flexible formats, tailored to specific needs. Relevant alerts are also automatically generated and sent to senior staff responsible and equipped to support field staff. Communication and transparency have improved dramatically through the system. Efficiencies are more easily identified, the work conducted in the field is more valued and everyone’s contribution is recorded. Receive automatically generated reports about disease reported flexibly tailored to suit the interests of the recipient. Monitor the efficacy of breeding and artificial insemination programs. 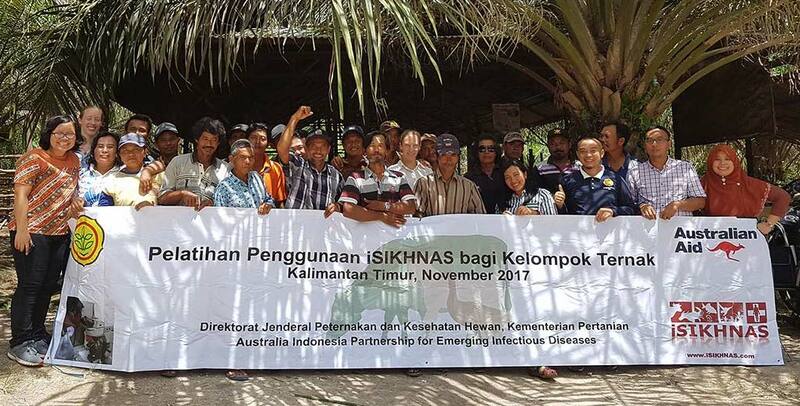 The successful development of iSIKHNAS was a result of a rich mix of skills and disciplines, the willingness for change, the generous funding, excellent leadership and vision and a team of dedicated Indonesians and Australians who believed in the importance of good animal health surveillance and its intrinsic importance in human health. Good training was a fundamental key to the success of the project. Ensuring sustainable, affordable and targeted training in a country as large and diverse as Indonesia posed a number of exciting challenges. The development of iSIKHNAS meant training of staff at every level, in every district of the country had to be possible not only in the functional aspects of the system – how to report to or how to query the system, but also in support of improved field-level technical skills. Train the Trainer programmes as well as access to extensive online learning materials allowed over 12,000 staff to be trained efficiently and reliably. A large and dedicated team of Indonesian government veterinary staff and iSIKHNAS district, provincial and regional coordinators worked tirelessly to train staff across the country in the use of the system and in improved field service provision. These courses are continually being delivered to new cohorts in all regions of the country.